International SWAN Day (Support Women Artists Now Day) will celebrate its 10th anniversary on Saturday, March 25, 2017. The holiday, also observed throughout the months of March and April, highlights the creative feats of female artists and their audiences. The holiday encourages women to celebrate, appreciate and honor fellow women in their creative endeavors. It serves as a call to action to connect with artists, via participation in their work or a direct connection via phone call, email or social media outreach. 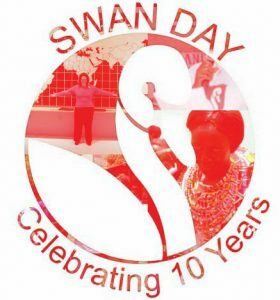 Since International SWAN Day’s launch, thousands of events have been held in at least 36 countries (including a celebration in Nairobi, Kenya with more than 700 people in attendance). In the United States, the holiday was officially recognized by the mayors of New York, Boston, San Francisco, Washington, D.C. and Portland along with several smaller cities. 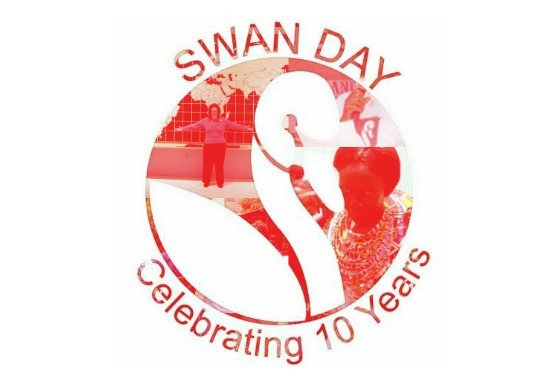 SWAN Day has also found famed supporters in writers Isabel Allende and Arlene Goldbard along with actresses Famke Janssen and Sandra Oh.